Go Rhino black hoop steps take truck steps to a whole new level. They not only cradle your foot when entering and exiting the vehicle, but also add a more rugged appearance to your truck. The Go Rhino black hoop steps are made of a heavy duty three-inch tubing and offer a non-slip stepping platform that gives ample traction for a secure stepping experience. In addition, these steps are available in a sleek black powder coat finish that looks great on any truck. With the clever design of Go Rhino black hoop steps, the bolt-on mounting process is a breeze and can be done with very little drilling. Not only that but they are also covered by a five-year warranty meaning once you have these puppies installed they will be giving you an added step up for years to come. Go Rhino offers a five-year warranty on the black hoop steps. 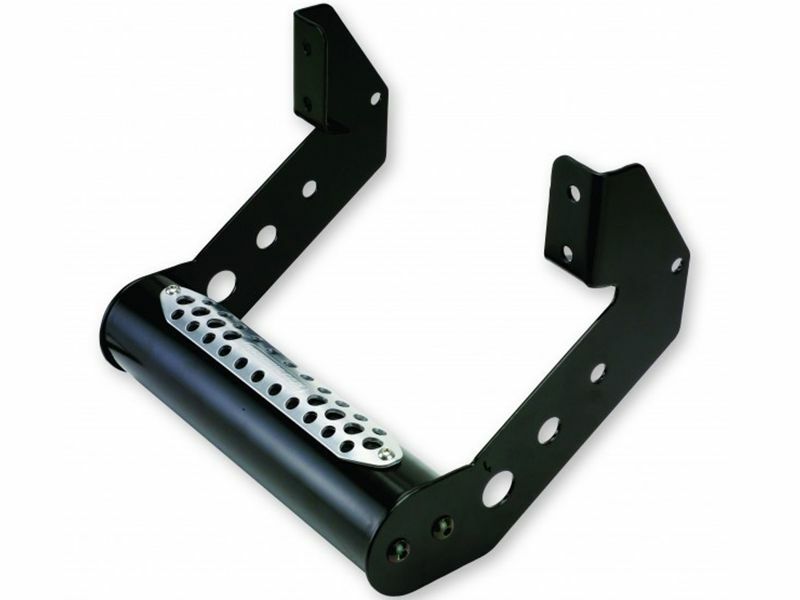 The Go Rhino black hoop steps offer an easy bolt-on installation with minor drilling.